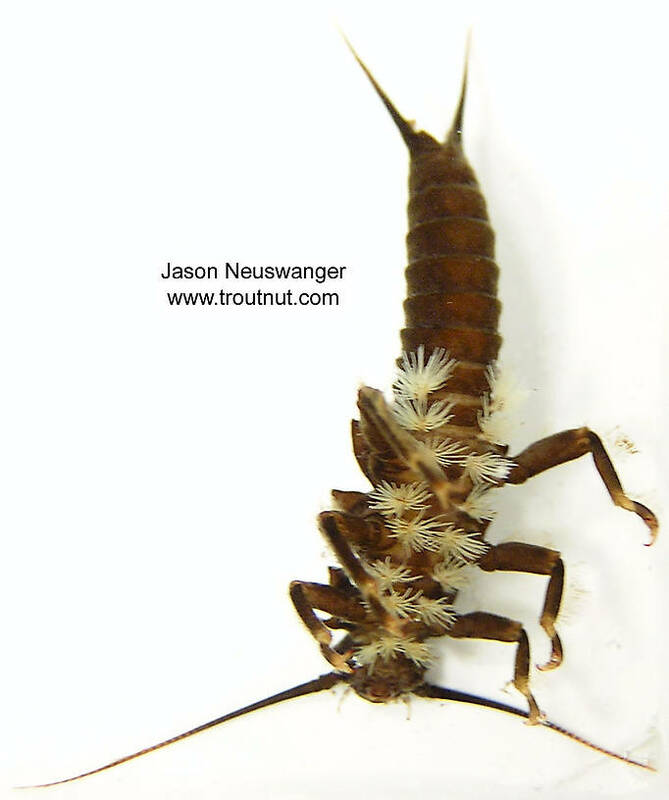 Pteronarcys nymphs live for two years before maturing. This small one is in its first year. 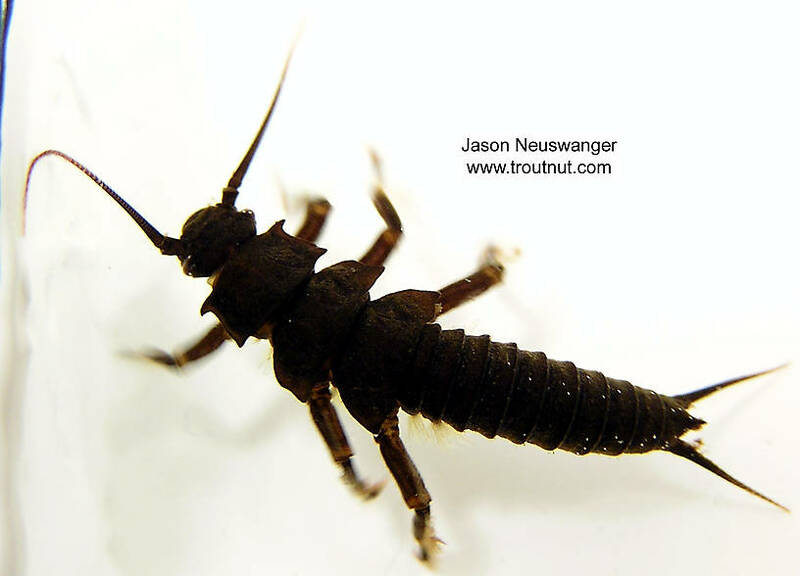 This stonefly was collected from unknown on March 10th, 2004 and added to Troutnut.com on January 19th, 2006. 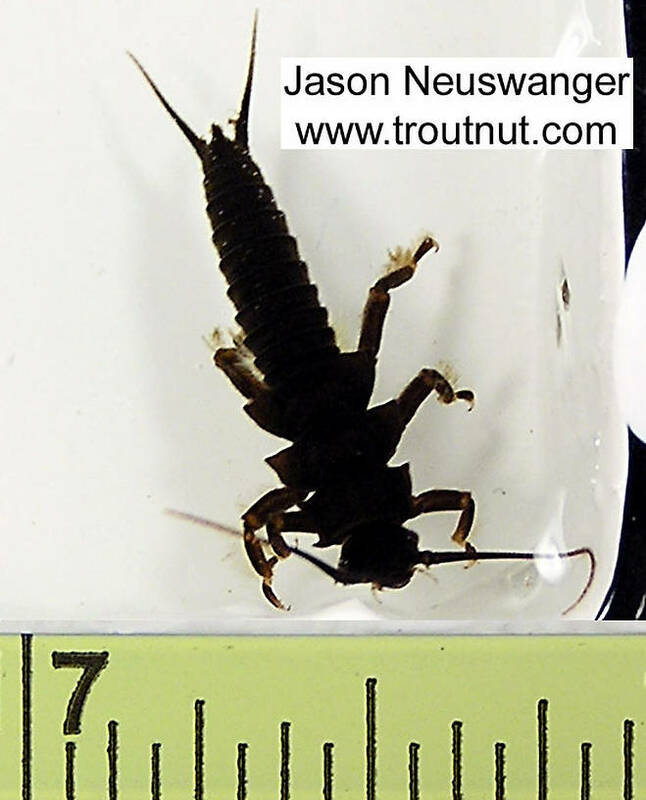 Is Pteronarcys the one that curls into a fetal position when disturbed? I don't see any pictures like that in this section, but I'm pretty sure a stone I saw do that today was one of these.